To accurately assess a Github repository. 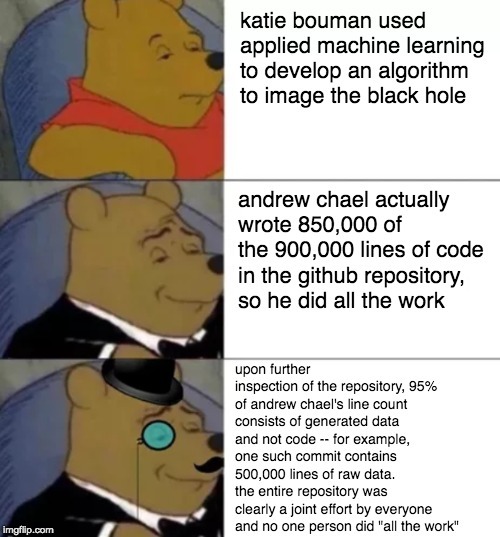 katie bouman used applied machine learning to develop an algorithm to image the black hole; andrew chael actually wrote 850,000 of the 900,000 lines of code in the github repository, so he did all the work; upon further inspection of the repository, 95% of andrew chael's line count consists of generated data and not code -- for example, one such commit contains 500,000 lines of raw data. 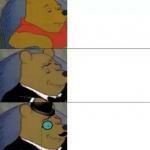 the entire repository was clearly a joint effort by everyone and no one person did "all the work"